Greek police say they made 86 arrests last night during further unrest over the killing by police of a teenager eight days ago. The violence followed peaceful demonstrations against the killing of the 15-year-old. 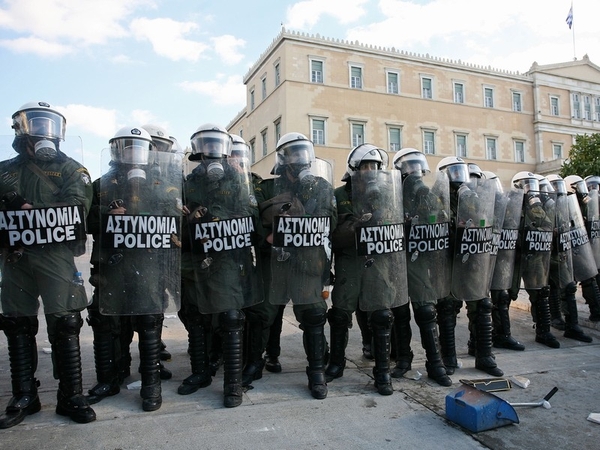 In Athens, around 100 youths attacked a police station, throwing petrol bombs and stones. Police responded with tear gas. Students have announced fresh rallies to take place tomorrow. At least 70 people have been injured in the protests sparked by the shooting. The unrest has led to calls for Greek Prime Minister Costas Karamanlis and his government to stand down.